As British Gazette readers well know, a railway siding is a low-speed section of track with buffers at the end. 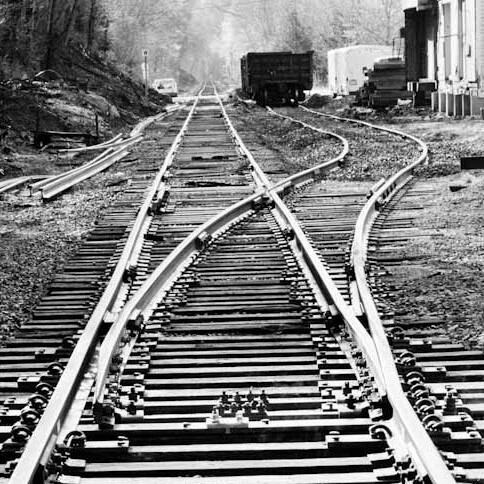 If it connects to the track at the end it is not a siding but a loop. As Spain enters a crisis, Dr. North, in his blog-post today (http://eureferendum.com/blogview.aspx?blogno=86649), continues his exploration of the political quagmire that is the Brexit process. Dr. North diligently draws his readers attention to the apparent sanguine attitude of parties who one would assume should be somewhat concerned at the seeming progress (lack of) of the negotiations. In our articles of the 14th (http://www.british-gazette.co.uk/2017/10/14/brexit-tempus-subsisto/) and 13th October (http://www.british-gazette.co.uk/2017/10/13/brexit-day-2019-a-stay-of-execution/), we speculated upon a possible offer by the EU 27 to suspend the Article 50 clock following a possible suspension by the EU 27 of the Brexit negotiations. A detailed examination of the Article 50 text shows that it is difficult to interpret the text as offering such. The text makes it possible for an extension of time which would generally be taken to mean a specific period. What we do know is that if the EU 27 wanted legal clarification on this it would seek the ruling of the European Court of Justice which as many British Gazette readers will note, is not a court and does not dispense justice! It is a committee that dispenses decisions, but then the European Decision Dispensing Committee does not have the same ring about it! Of course, the EDDC always decides in favour of the EU. That is a given! What Dr. North has drawn attention to in his article is that the European federalists – which constitute a majority in the Council, Commission and Parliament – are rather pleased at the prospect of the withdrawal of as they see it “the dead hand” of the UK on the EU’s steady progress towards federal union. Much has been talked about cakes and the eating of them. This does not only apply to such as Messrs. Rees-Mogg and Redwood. It also applies to the EU’s federalists. You see, they rather like the idea of an EU without the UK. At the same time they realise that an EU without the UK is a problem. It is a problem if the UK successfully “Brexits” and it is a problem if the UK “Brexits” into the abyss! Either way, Brexit is a problem! It is likely that the idea of suspending Brexit will become very attractive. What the EU will want is to shut the UK out of the decision making process during the period of suspension. This is something they cannot do. The UK is only outside the decision making process insofar as withdrawal negotiations are concerned. The UK is still a full member of the EU until Brexit Day – whenever that might be! What they might try to do is not suspend Article 50 but to exploit the inadequately drafted text of Article 50 and propose to redraft Article 50 to make it “fit for purpose” setting in place a transition arrangement which will take immediate effect on any member state exercising it’s right under the Lisbon Treaty to invoke Article 50. Such a treaty amendment could be made retro-active to include the UK’s Article 50 notification! Of course, such a treaty change would require the unanimous consent of all 28 EU members – which means the UK! So what would this Transition Treaty entail? Probably what the British Gazette has described as purgatory! Namely, that the EU treaties will be extended to cover the withdrawing state until such a time as a withdrawal agreement AND a new relationship has been agreed. It will also automatically ensure grandfather rights would apply to the withdrawing state insofar as the trade agreements the EU has with other states. Importantly, it would also include a revocation option that would mean that during the transition, the withdrawing state could change it’s mind and re-enter the EU but on the terms laid out in the Lisbon Treaty – that means joining the Eurozone! In other words it would remove the disastrous consequences of a “crash Brexit” – but at the cost of causing the withdrawing state to become a de-facto dependent territory of the EU! In other words, accept all the rules of the EU, pay all the contributions demanded by the EU but have NO decision making capacity! Why would the EU wish to do this? 1. A “crash Brexit” would be deeply damaging to the Irish Republic. 2. A “bankrupt Britain” would hit EU exporters. 3. The political instability that would be caused in the UK is potentially dangerous for other EU states. This transition treaty could be proposed and negotiated without ANY input from the UK! The EU 27 could do this, ratify it – including the Walloonians – and present a fait accompli to the UK! It is also possible that the EU may try and do all of these things: suspend Brexit negotiations, suspend Article 50’s “countdown clock” and proceed with a “Transition Treaty”! The FACT is this: By FAILING to adopt the ONLY doable, practical Brexit strategy – Flexcit – aka EFTA+EEA – the UK has committed a MAJOR foreign policy blunder. And here is the biggest irony of all: The Euro-federalists greatest (AND UNWILLING) ally has been Nigel Farage! His insistence that the UK leaves the EEA immediately upon Brexit has been the thing that has stymied Brexit!